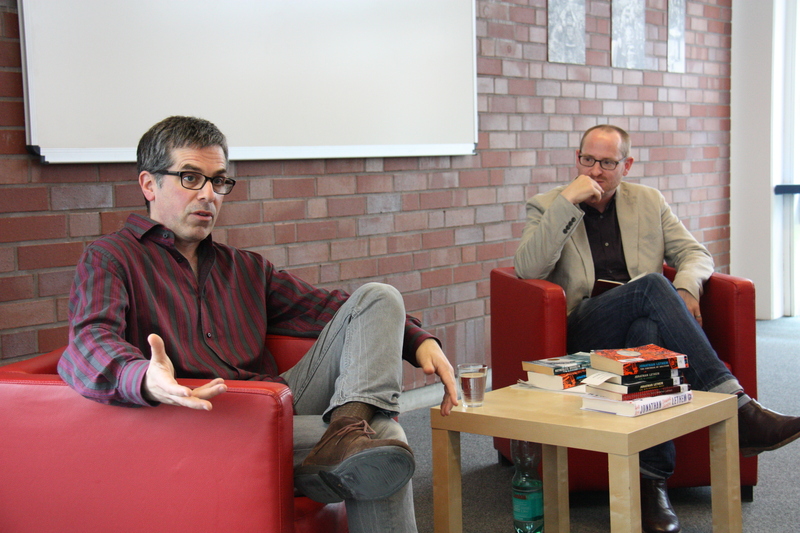 On Monday 19 May 2014 JFKS’s Haywire magazine and the Creative Writing/Film Class hosted acclaimed writer and American Academy Fellow Jonathan Lethem. 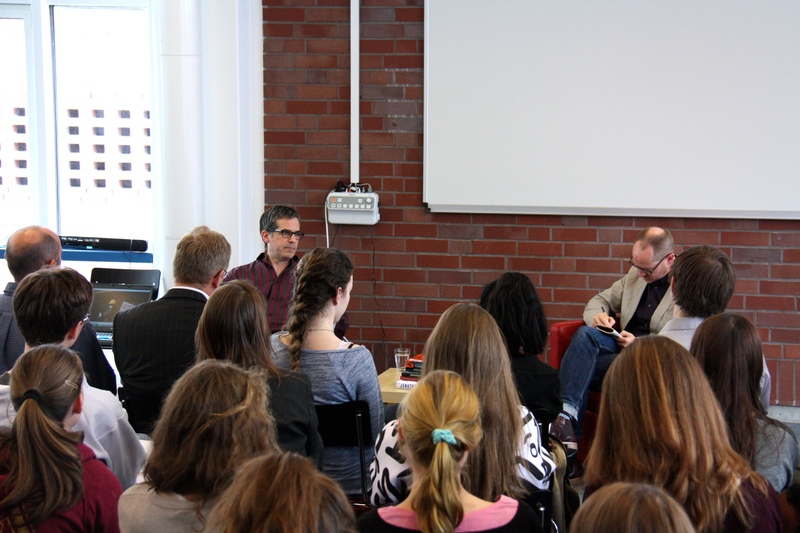 The prolific Mr. Lethem dazzled our 11th grade Leistungskurse students with his wit and candor by sharing his creative life journey and some thoughts about his recently published New Yorker magazine short story “Pending Vegan”. He started out as a graphic artist, having grown up with artistic and Bohemian parents in Brooklyn and eventually was drawn to the ability to manipulate and communicate with language. The event was inspiring because it allowed students to hear from the artist himself – not by probing for explicit answers to his fictions, but by engaging the thinking behind the thinker. 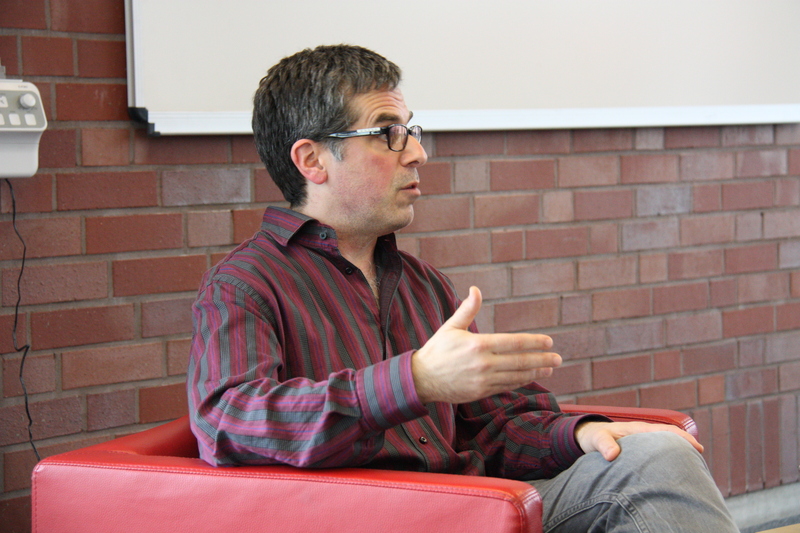 Mr. Lethem signed books and talked individually with students about stories, films, and novels. It was an amazing opportunity to host such an enigmatic personality and we hope more Fellows visit soon!